An international team of scientists reported the development of a new CRISPR-based tool that acts like a shredder, able to remove long stretches of DNA in human cells with programmable targeting. They describe in Molecular Cell (“Introducing a Spectrum of Long-Range Genomic Deletions in Human Embryonic Stem Cells Using Type I CRISPR-Cas”) how they succeeded in getting a different kind of CRISPR-Cas system called type I CRISPR-Cas3 to work as long-range DNA editing tool in human cells. 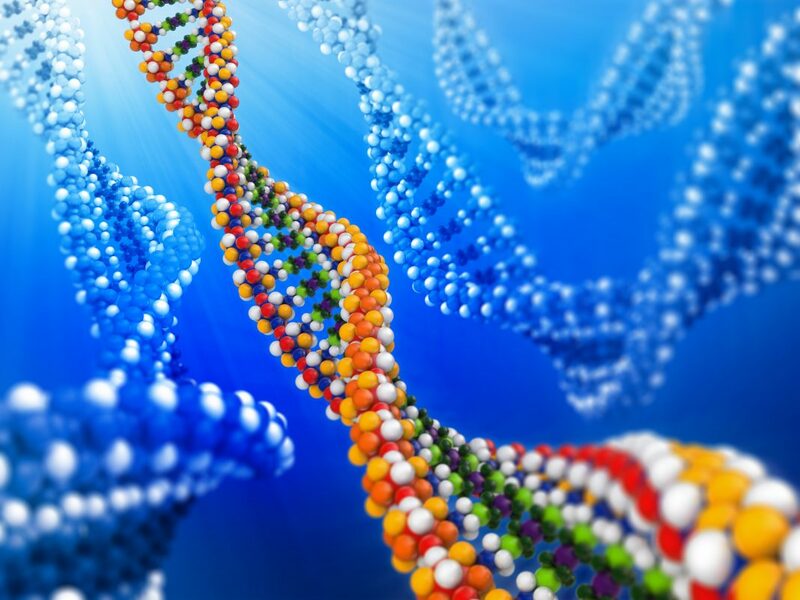 The technique provides a way to target and delete much longer expanses of DNA than current Cas9 tools can, according to Yan Zhang, PhD, the University of Michigan scientist who led the research. Applications include genetic research to understand the underpinnings of disease and, potentially, in treatment for diseases tied to long stretches of DNA. “CRISPR-Cas systems enable microbial adaptive immunity and provide eukaryotic genome editing tools. These tools employ a single effector enzyme of type II or V CRISPR to generate RNA-guided, precise genome breaks. Here we demonstrate the feasibility of using type I CRISPR-Cas [which is much more common in bacteria than the type II variety that includes Cas9] to effectively introduce a spectrum of long-range chromosomal deletions with a single RNA guide in human embryonic stem cells and HAP1 cells. Type I CRISPR systems rely on the multi-subunit ribonucleoprotein (RNP) complex Cascade to identify DNA targets and on the helicase-nuclease enzyme Cas3 to degrade DNA processively,” the investigators wrote. The protein optimization and purification side of the work was done in the laboratory of Cornell University professor Ailong Ke, PhD, a co-corresponding author of the paper. Cornell graduate student Adam Dolan and University of Michigan senior research specialist Zhonggang Hou, PhD, are the paper’s first authors. Zhang has studied bacterial CRISPR-Cas9 and developed tools for editing genetic material in human cells. Ke has examined type I CRISPR using structural and biochemical approaches. The team set out to try to deliver the bacterial CRISPR components as proteins into both human embryonic stem cells and HAP1 cells. 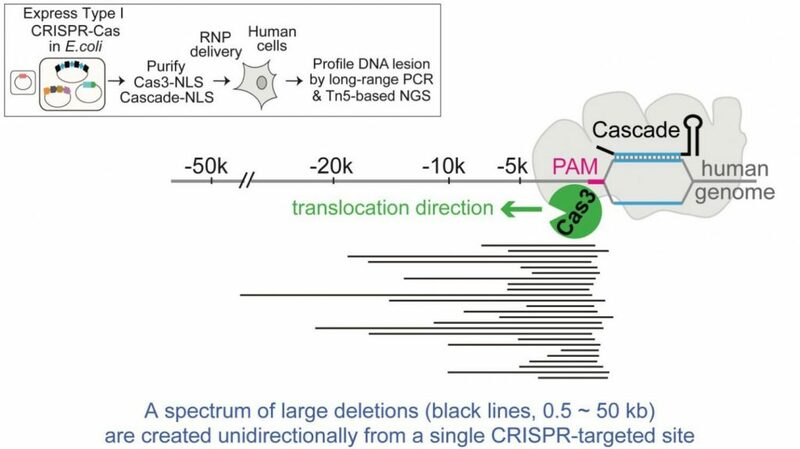 With one CRISPR guide, the team succeeded in deleting portions of targeted DNA ranging from a few hundred base pairs to 100 kilobases. This could be especially useful when scientists are studying the noncoding long stretches of DNA that don’t contain the code for a particular protein; the shredder technique could allow them to demolish a sequence of long stretches and see what happens, continued Zhang. In addition, the ability of Cas3 to travel on the chromosome over a long distance can’t be done with any current Cas9 technique, she added. So a “nuclease dead” version of Cas3 that can travel along DNA but lacks the shredder function might provide a powerful delivery platform for long-range epigenome engineering, explained Zhang. Part of the research effort involved figuring out how to get the human stem cells to reveal if any DNA had been deleted, since most of the stem cell reporter lines developed for research involving CRISPR-Cas9 are not sensitive enough if the shredding activity is low. Sara Howden, PhD, of the University of Melbourne, Australia, worked on building a sensitive, dual-reporter cell line. Another challenge for the team was to figure out what the shredder had shredded after the deed was done, using next-generation DNA sequencing and going beyond existing methods to look at the edits that Cas9 produces. Hou developed a transposase-based profiling method, and Peter Freddolino, PhD, an assistant professor of biological chemistry and computational medicine and bioinformatics at the University of Michigan, built custom informatics pipelines to analyze the deep sequencing results. Ke also noted in the paper that because the guide RNA sequence needed to tell the shredder where to go is longer than the sequences used in CRISPR-Cas9 systems, and also because target searching and degradation are two well-separated steps, the new method is potentially better controlled. It may be less likely to make mistaken cuts where they’re not wanted, Ke said. This new tool and its derivatives could be useful for therapeutic purposes, Zhang speculated, though such use is years in the future. Some CRISPR-Cas9-based therapeutic uses have been reported, including a controversial editing out of a receptor gene that enables HIV to enter cells in the embryos of two babies reportedly born in China. But worries about CRISPR-Cas9 making unintended edits in normal areas of human patients’ DNA have also surfaced. Further work will be needed to see if the shredder approach avoids this issue. The University of Michigan and Cornell have filed for a joint patent on this new tool.